This report was submitted by Sarah Giraldi on behalf of the Lansing Gospel Hall. 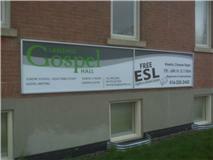 ESL classes at Lansing Gospel Hall started in September 2010, although interest was shown much earlier. 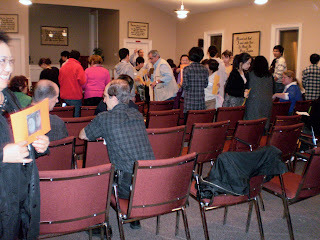 Some believers were Korean students who wanted to learn more; some believers had been involved in other ESL-type outreaches; and some had held paid positions in teaching English to second language learners. We held several meetings through the summer to see who was interested in helping out and to collect ideas regarding format and curriculum. Once these were decided on, we held an evening of mock “classes” for those who were interested in helping, but had no previous experience. We started classes mid-September, and continued every Friday night except for holiday times. (We just had our last class, and will be taking a break for the summer.) At this point, we offer beginner and intermediate classes. Each class runs for about an hour; after the classes are finished, everyone meets for a snack and a time to chat informally. The beginner class focuses on vocabulary and pronunciation, covering topics like Weather, Transportation, and the Supermarket. The intermediate class focuses on conversation, based on questions about short news articles. 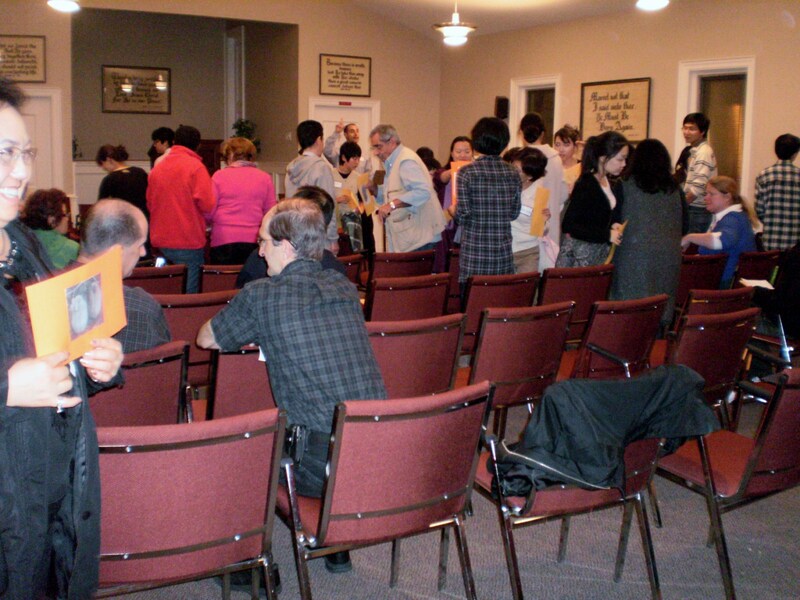 The beginner class has been introduced to various proverbs (from the book of Proverbs) and idioms. The intermediate class has gone more in-depth with verses relating to an overview of the Bible and the claims of Christ. The snack time after the classes has been a great opportunity to get to know the students a little better. 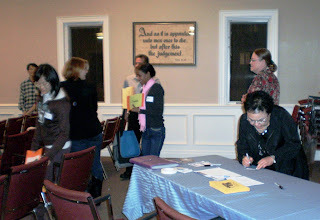 We have believers who are interested in teaching sign up ahead of time. This prevents teaching from becoming the responsibility of one or two people, and gives the students experience with different English speakers. In addition to teachers, we have had others help out in a number of ways: greeting students and handing out name-tags, bringing food or helping to serve, setting up tables or cleaning up, or chatting with students during the snack time. We have also had believers supervise games and activities with children who come, thus allowing the parents to attend an ESL class they would not otherwise be able to. Most importantly, we have appreciated the support of the many believers who have prayed for this outreach. We have had a very positive response to the classes. Most weeks we have 20-30 students present, and several have started to attend our regular meetings at other times in the week. We have a very diverse group of students who come - a variety of cultures, ages and walks of life are represented at each class every week. For some holidays, we have a special meal with the students. Both the classes are combined, and we have the students together for a short gospel message and activity relating to the holiday. This is followed by the meal where students had the opportunity to taste some more “traditional” Canadian foods. Students were very appreciative of this. • Placing ads in community newspapers that serve different language groups in our area. Lord willing, we hope to continue this outreach in the fall, running classes from September to June, except for holidays. If you have any questions please contact Sarah Giraldi and visit Lansing Gospel Hall website.